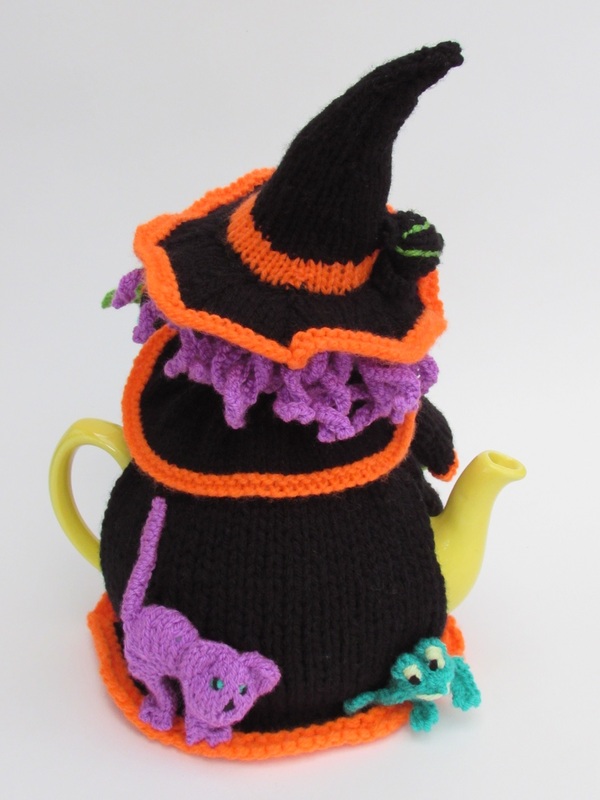 The Witches Brew tea cosy was designed for the Simply Knitting Magazine issue 164 which went on sale on the 15th of September 2017. 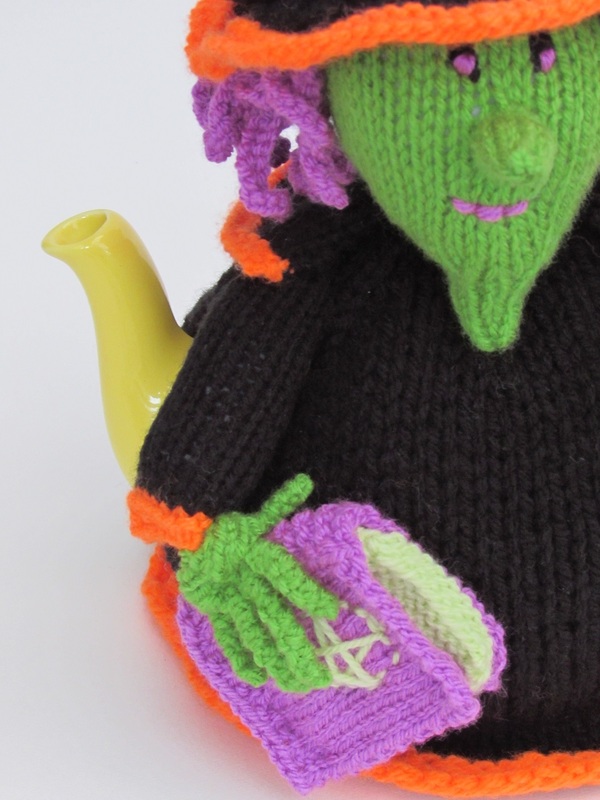 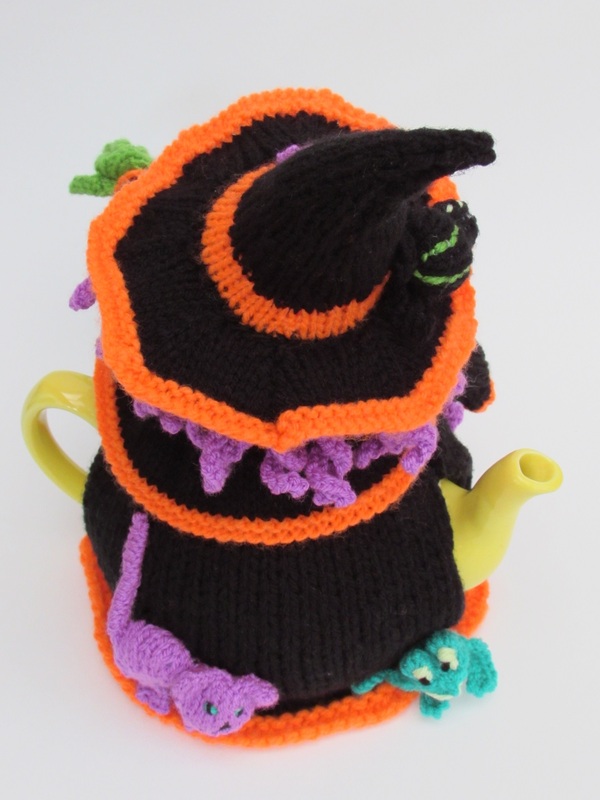 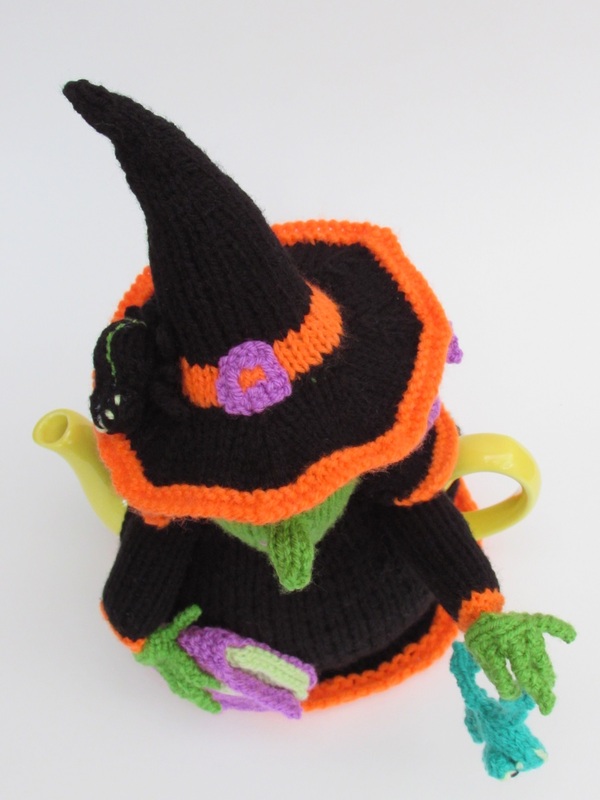 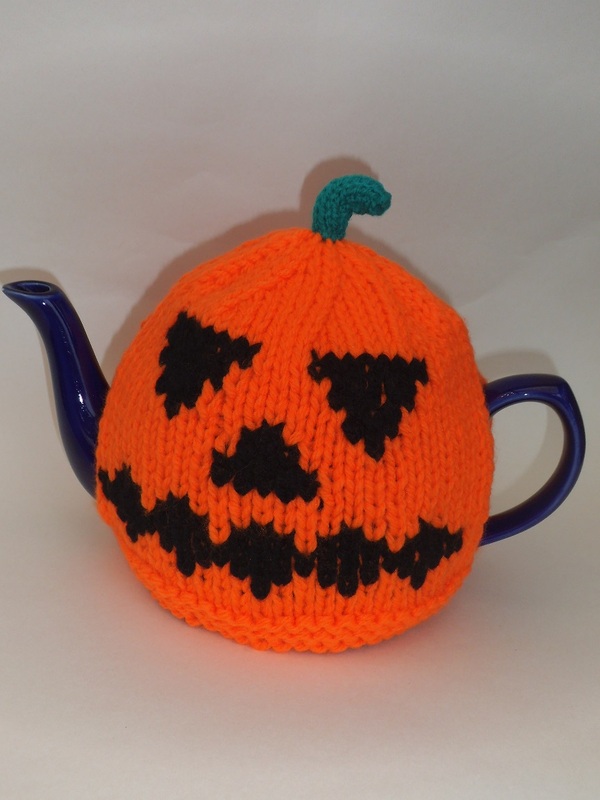 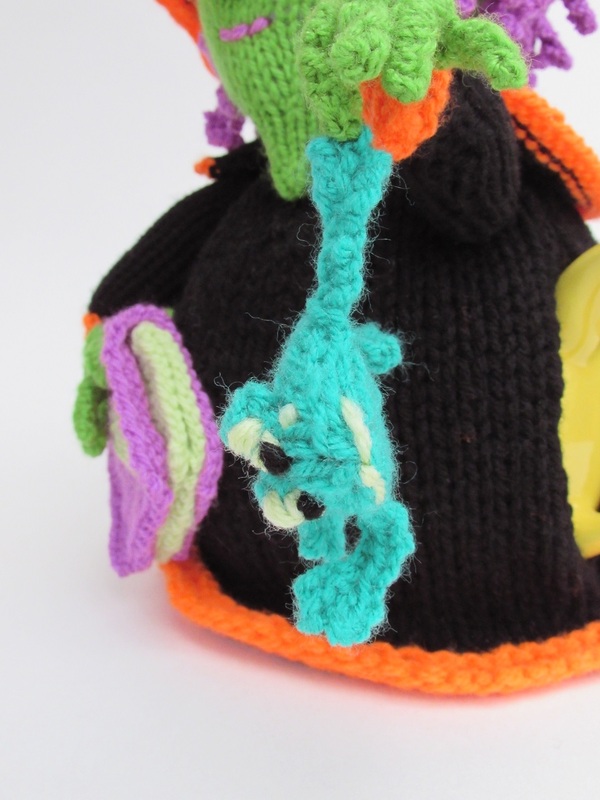 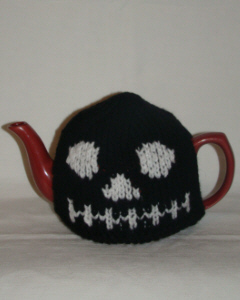 The wicked witch tea cosy making a brew was inspired by halloween witches and they evil antics. 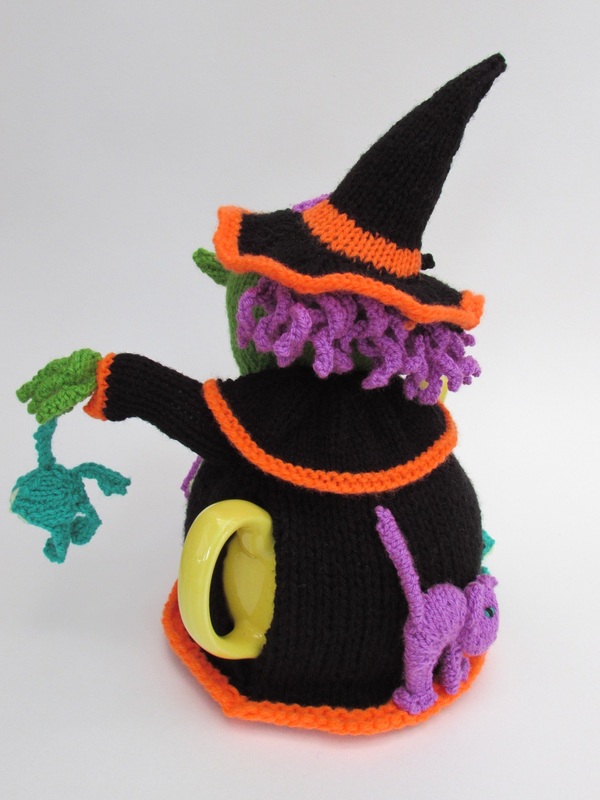 I remember a song we sang at primary school about an old witch, she always sounds creepy and she had a hop toad, so I wanted to include amphibians on my cosy design. 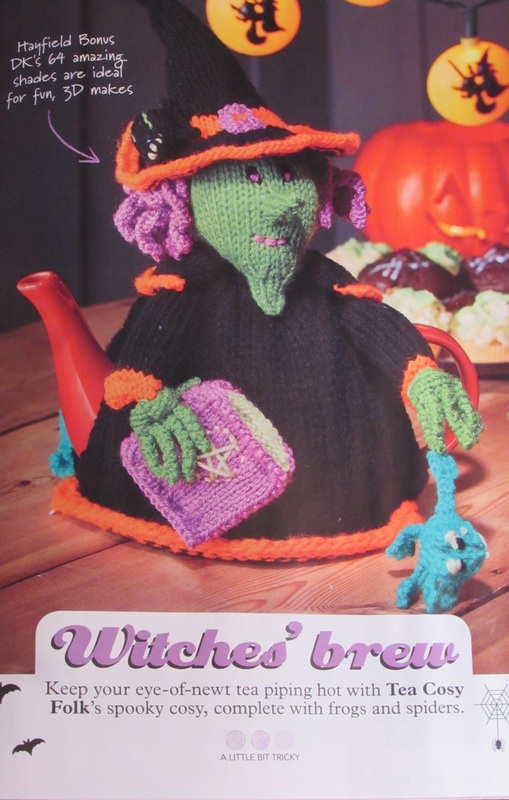 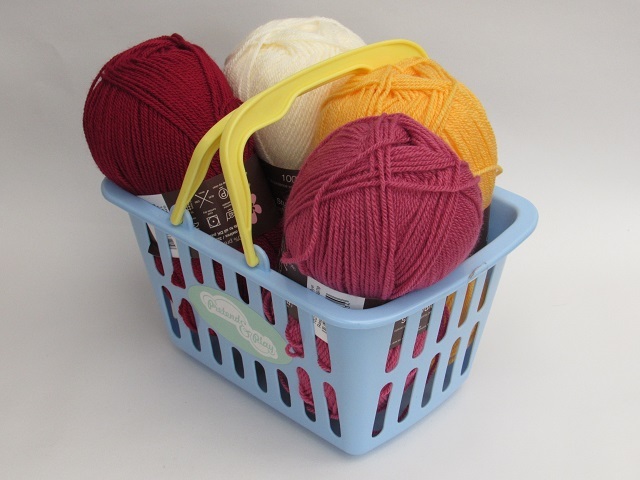 After compiling some research about 'knitted in one piece or sewing lots of bits together', I found that most people would rather knit in one piece; even if that meant short rows. 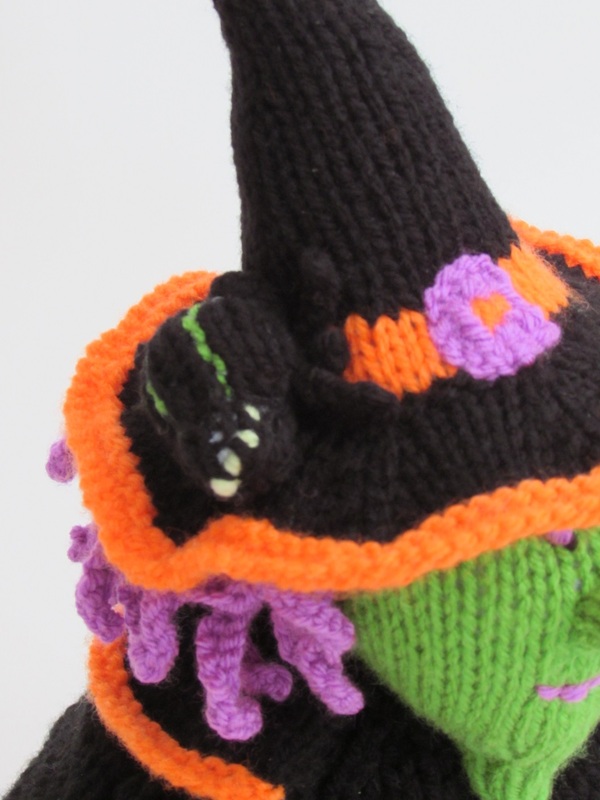 So the frogs and the spider are cleverly knitted in one piece; and ingenuously come together. 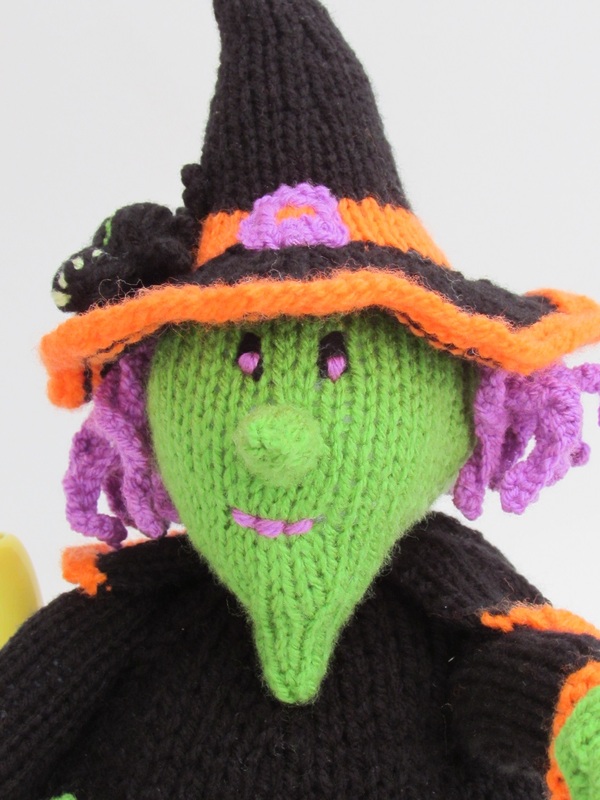 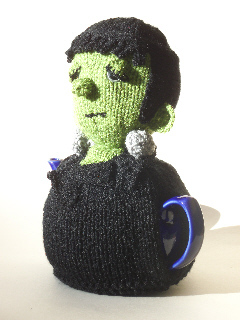 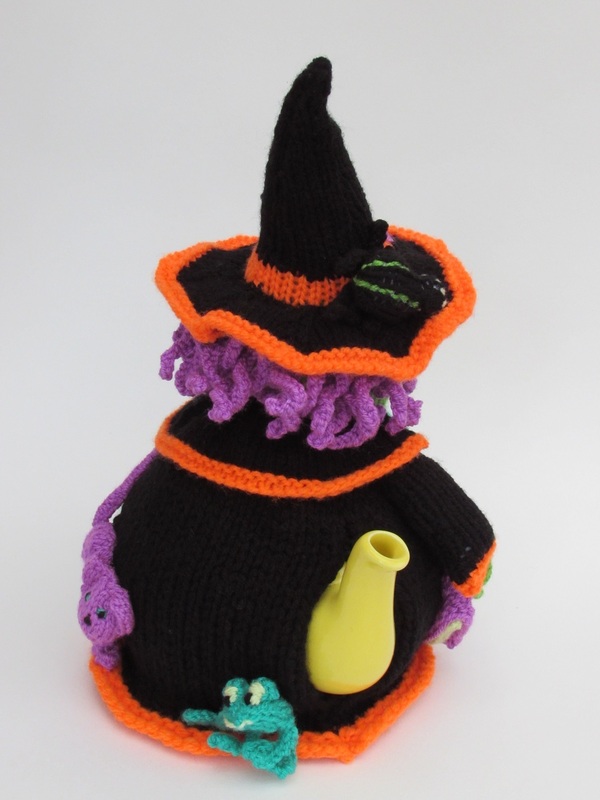 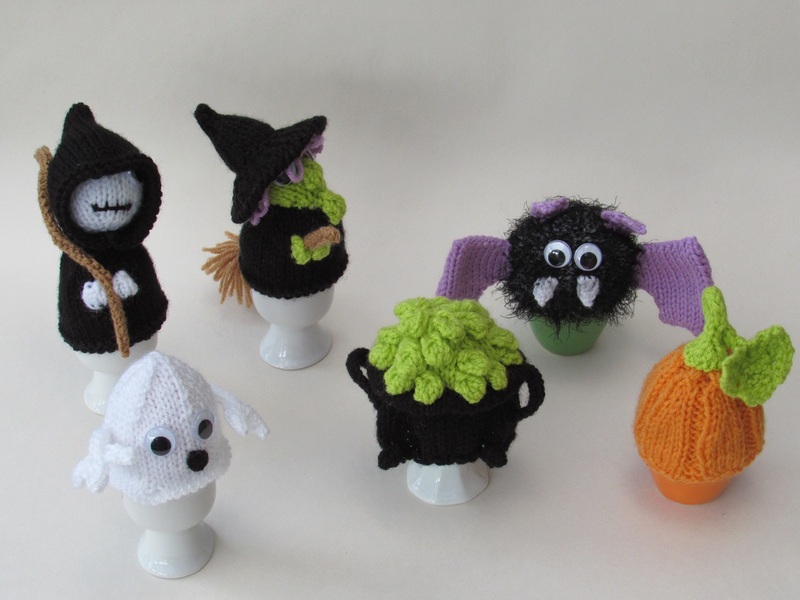 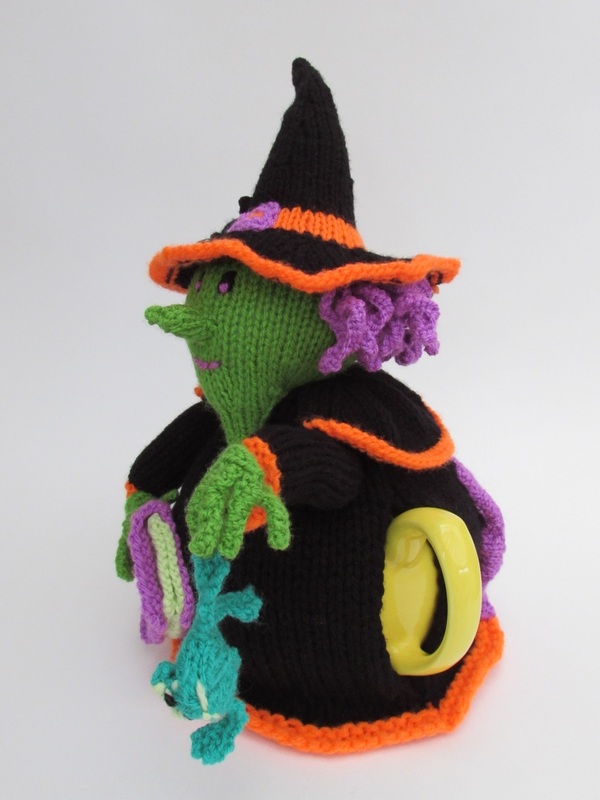 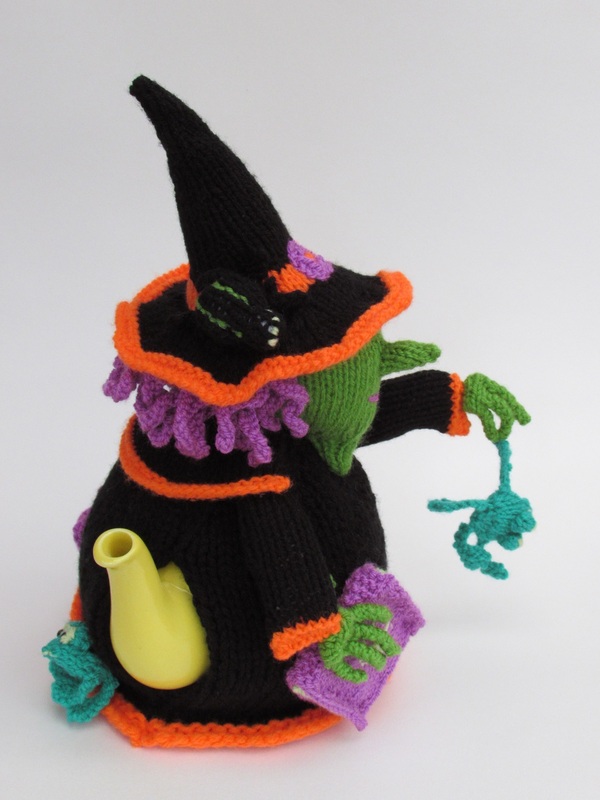 The witches Brew tea cosy can also be made into a free standing figure with the aid of a knitted base that covers the bottom so that it can be stuffed, perfect for a halloween decoration, or a child's toy or why not fill it with something heavier and make a door stop? 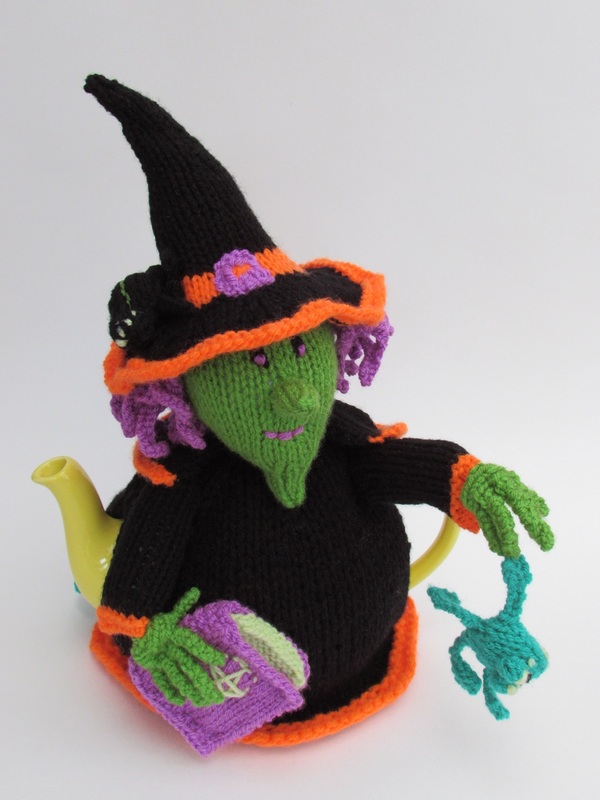 The Witches Brew tea cosy and doll is knitted in Hayfield Bonus DK yarn. 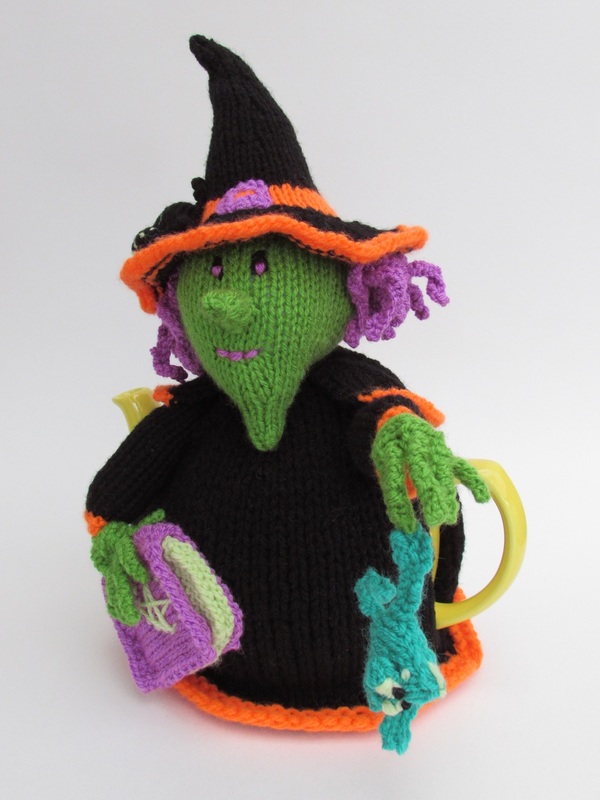 When you fancy a brew the spooky witch will magic you up a hot cup of tea.